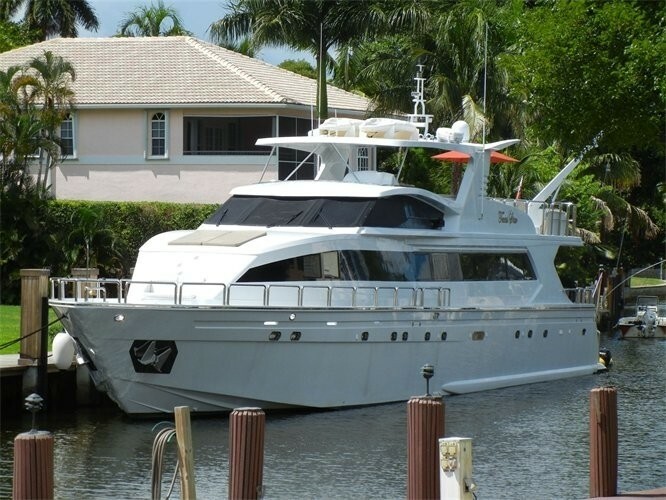 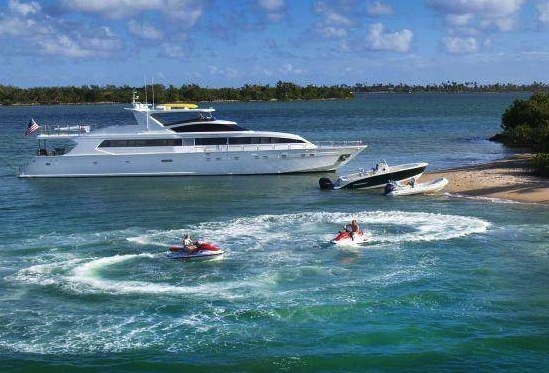 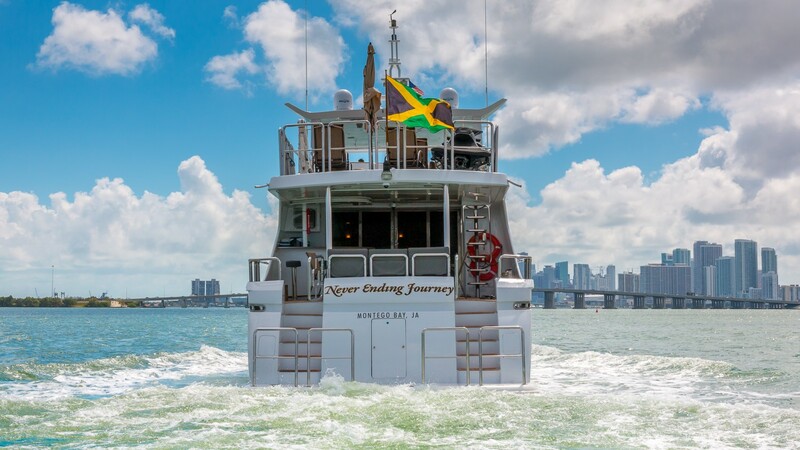 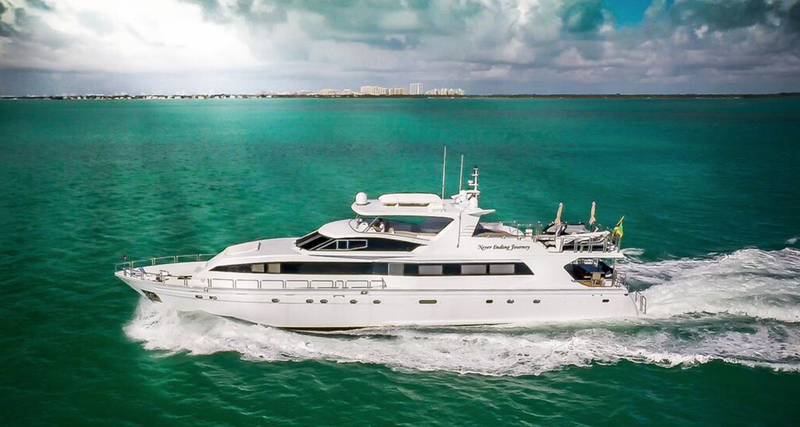 Motor yacht NEVER ENDING JOURNEY is a privately crewed motor yacht available for charter in Florida and the Bahamas year round. 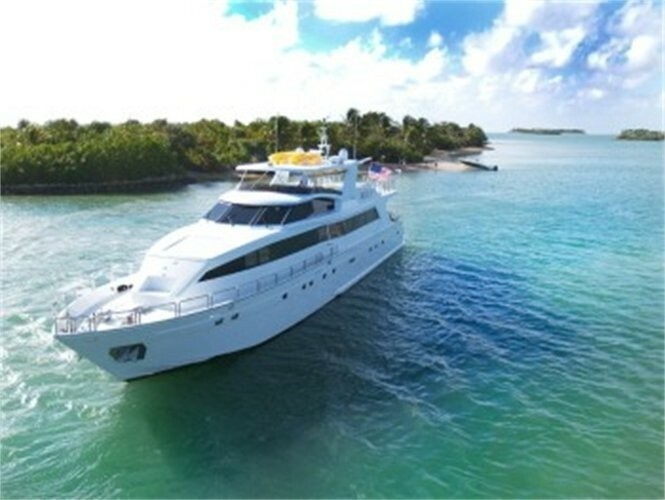 She is 102ft and sleeps up to ten charter guests. 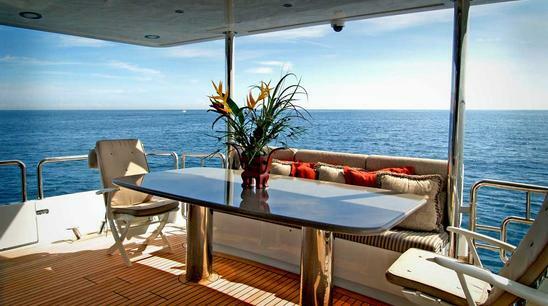 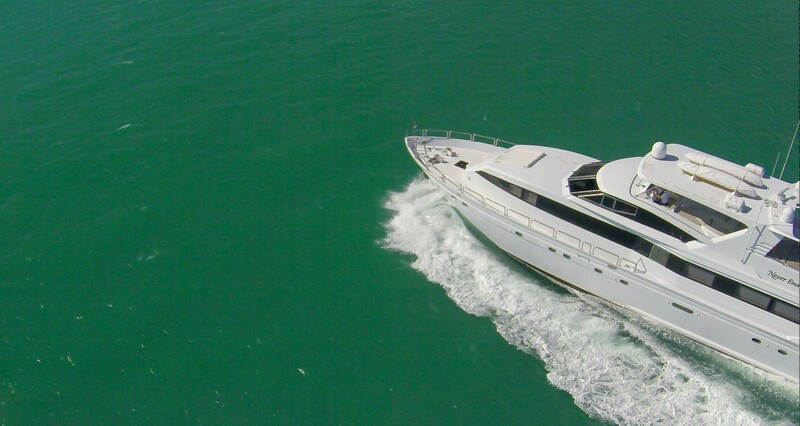 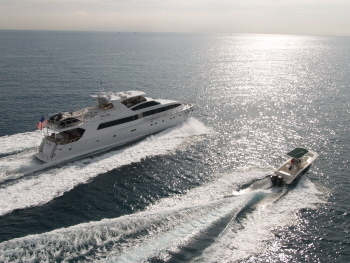 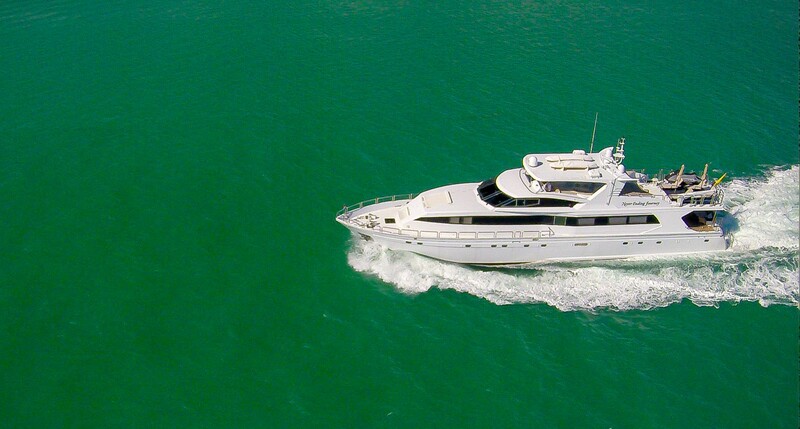 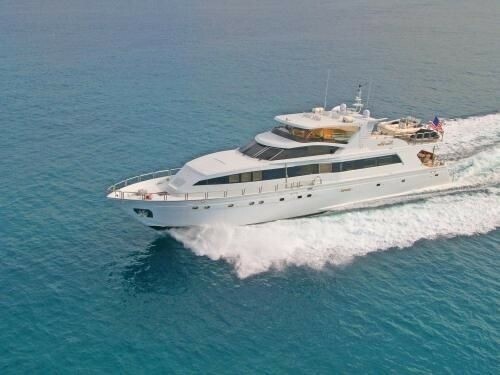 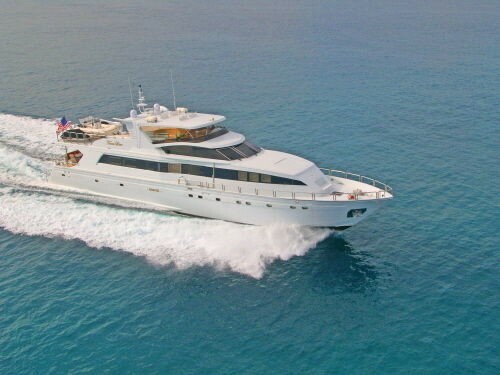 Her amazing rate gives her guests a luxury charter yacht at an affordable price. 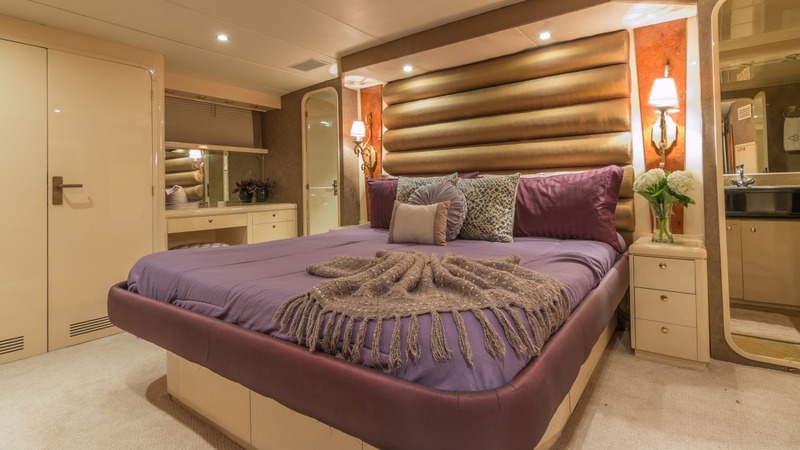 Sleeping up to ten people in five large guest cabins all with ensuite bathrooms, M/Y NEVER ENDING JOURNEY is perfect for large families, groups of friends, Honeymooners or couples. 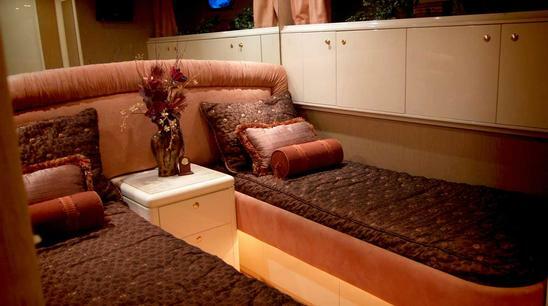 With plenty of space to relax and unwind guests will never feel like they are on top of each other. 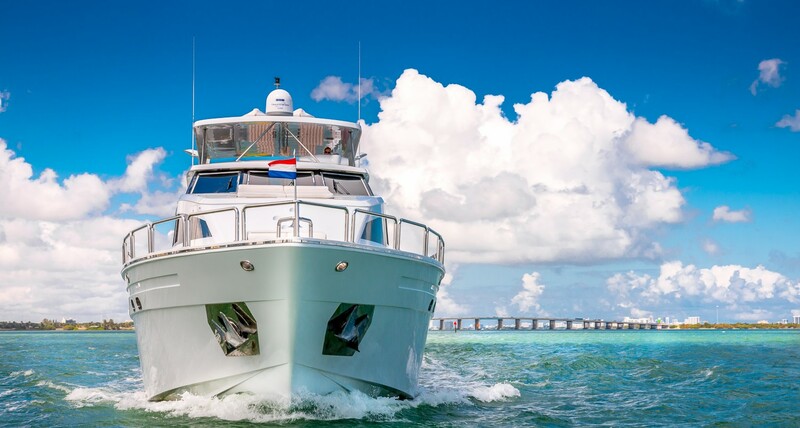 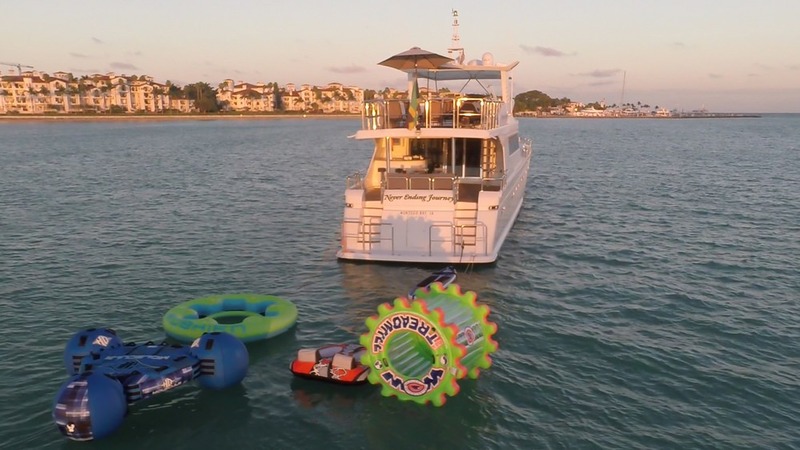 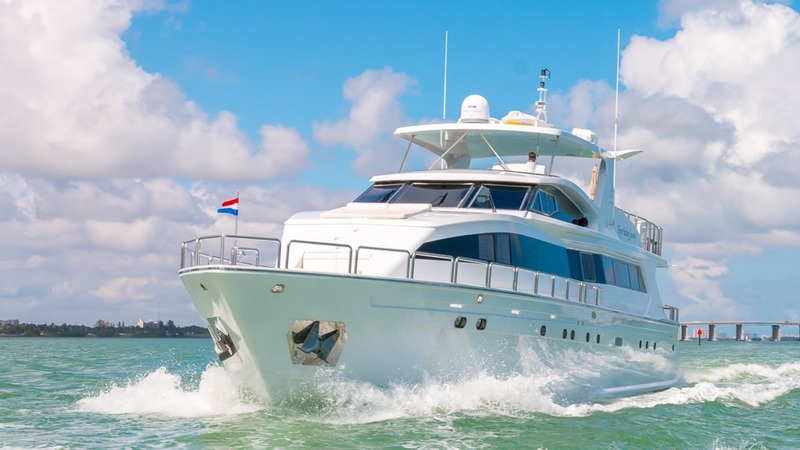 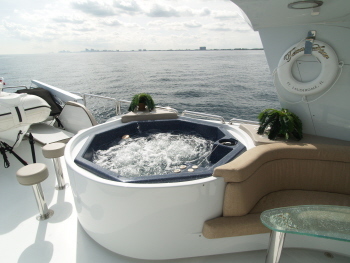 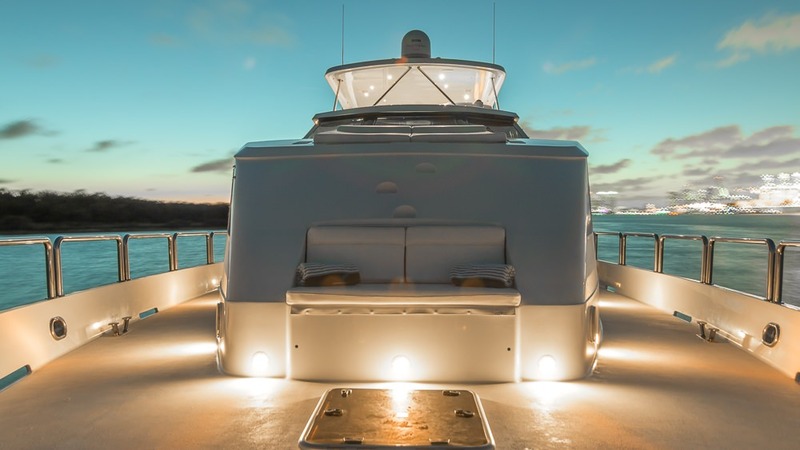 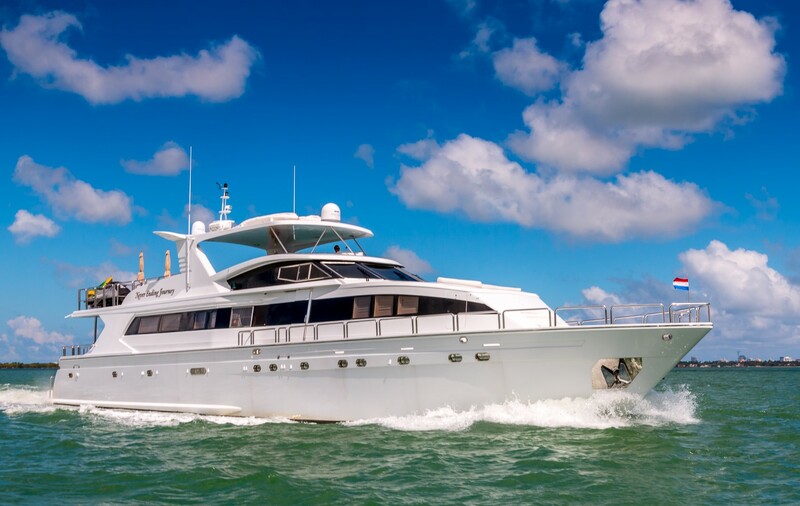 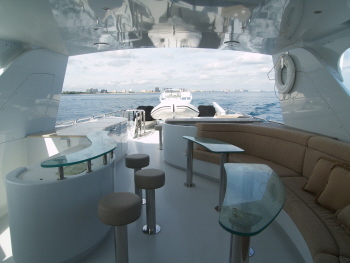 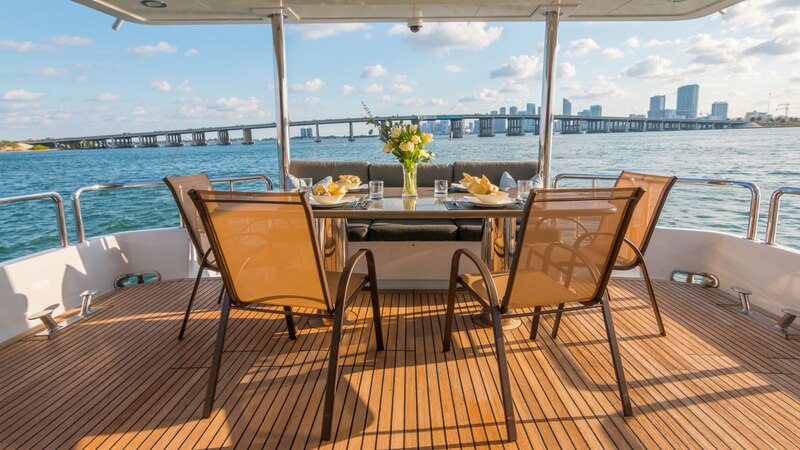 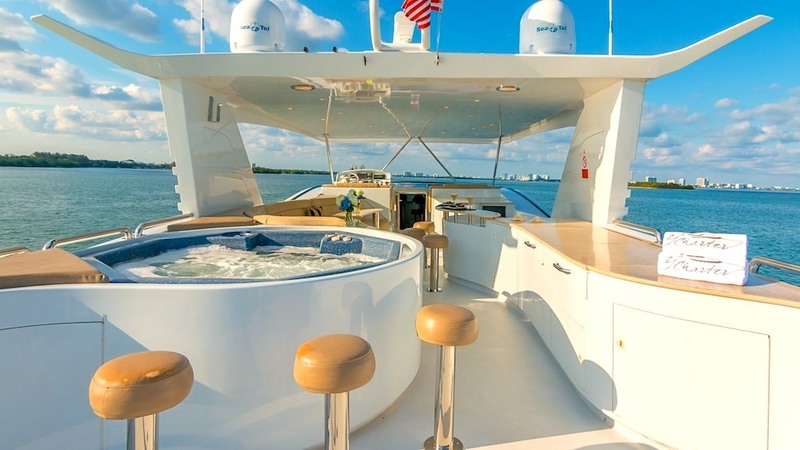 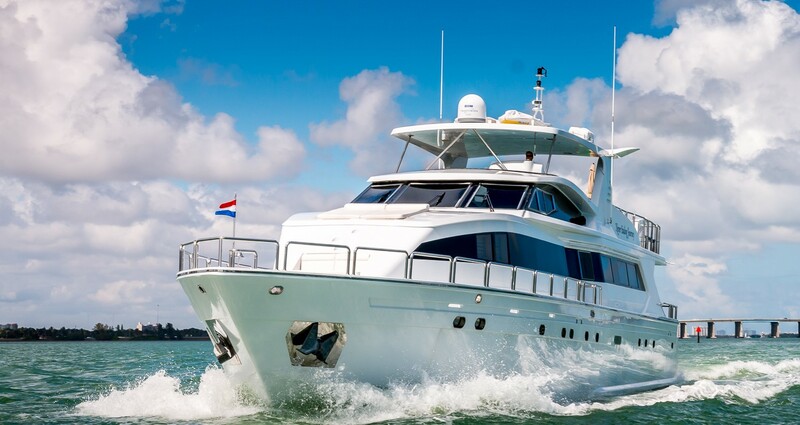 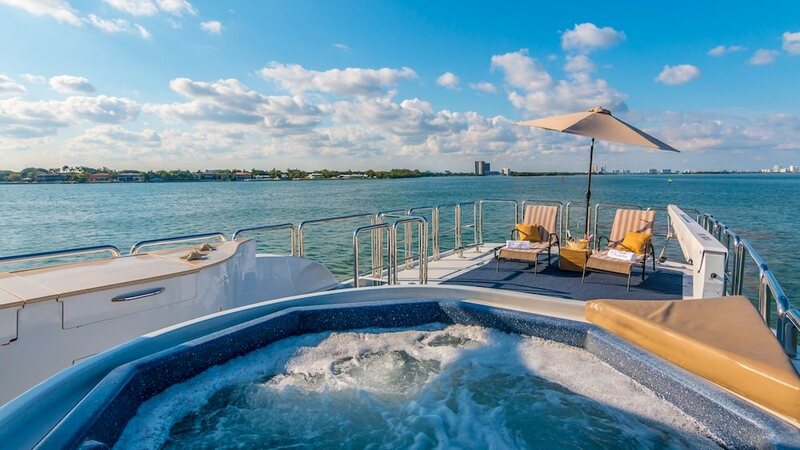 The NEVER ENDING JOURNEY motor yacht has a 60ft sundeck which features a Spa Pool, full service wet bar and plenty of space for relaxing in the sunshine. 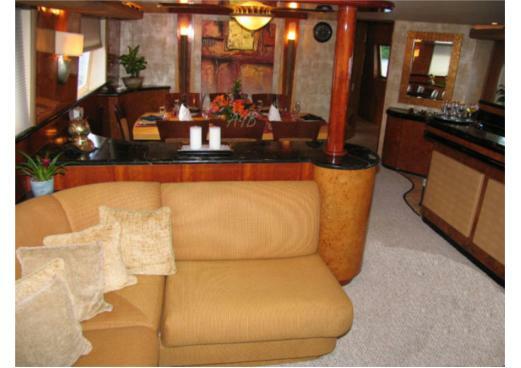 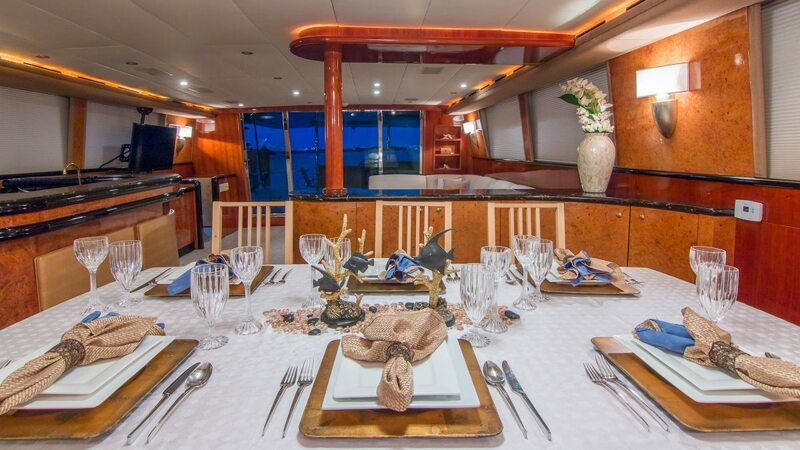 Her 30ft aft deck is the perfect place to enjoy a sumptuous meal served fresh from the gourmet galley. 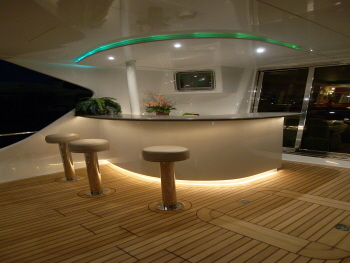 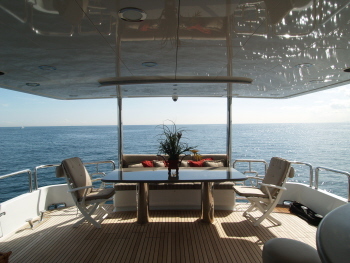 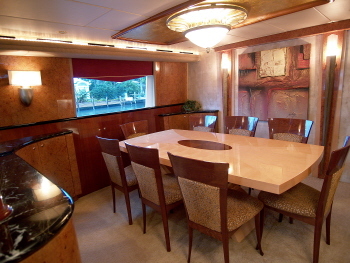 If guests prefer something more formal there is also a formal dining room in the interior of the yacht. 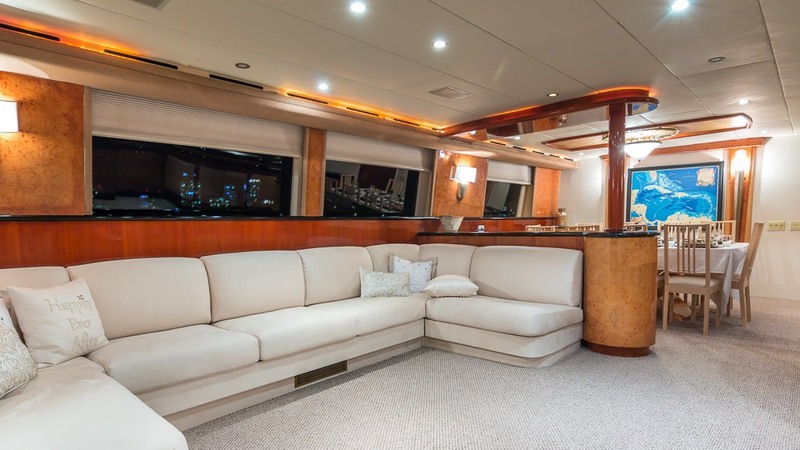 Her large spacious salon is perfect for an afternoon nap in the cool or to watch a movie on the yachts state of the art home entertainment system, the lounge area is comfortable for ten people. 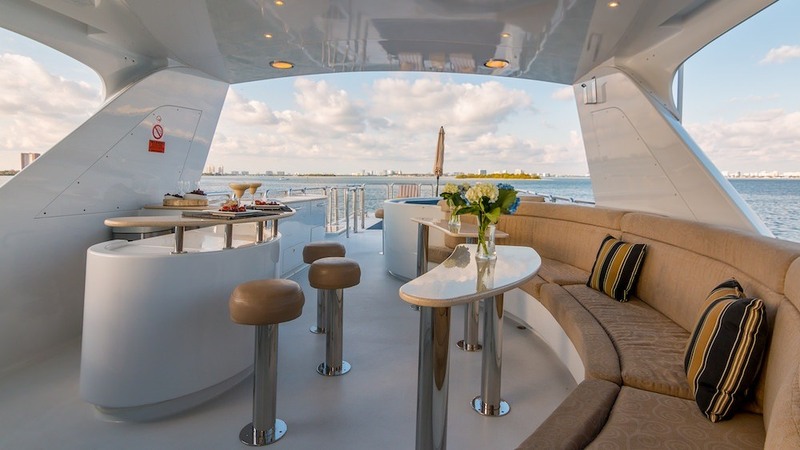 Yacht NEVER ENDING JOURNEY offers her guests plenty of space to relax as well has plenty of activities for those that enjoy something more action packed. 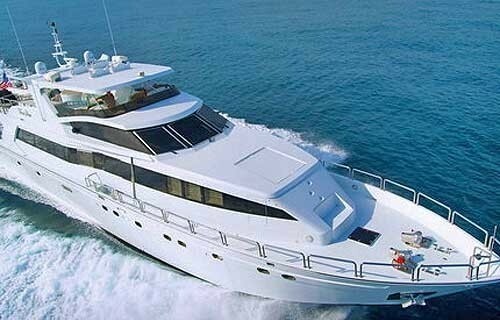 NEVER ENDING JOURNEY has 3 professional crew on board so that means if half the group wants water-sports and the other half wants to relax and be pampered there is enough crew to ensure everyone is satisfied. 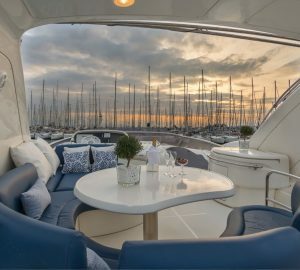 Charter yacht NEVER ENDING JOURNEY has five guest cabins all of which have individually controlled air-conditioning and ensuite bathrooms. 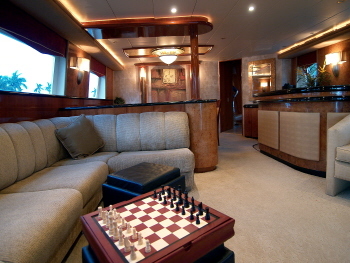 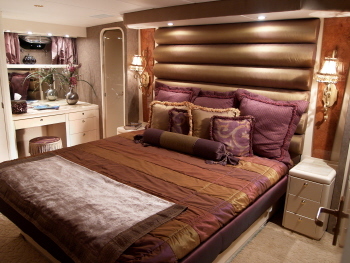 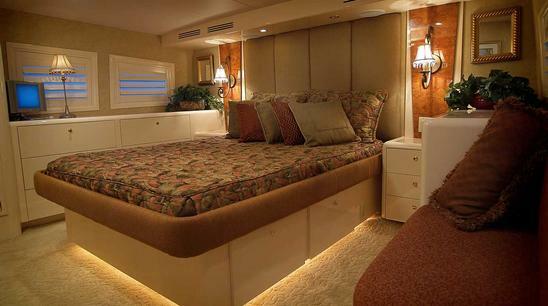 There is one master cabin with a king size bed, three queen cabins and 1 twin. 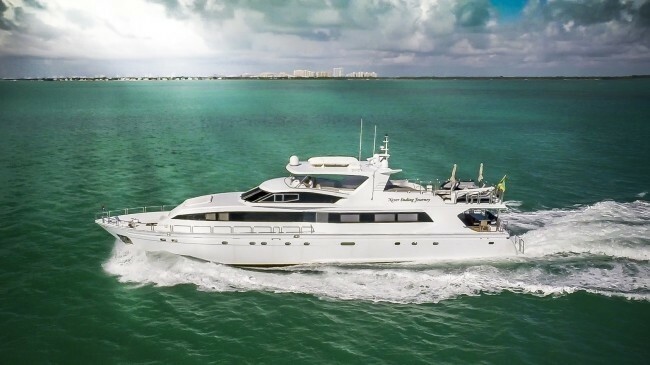 NEVER ENDING JOURNEY also has a huge salon, a formal dining room on the interior as well as a generous aft deck, a huge sun deck and a foredeck with a tanning bed and forward seating area. 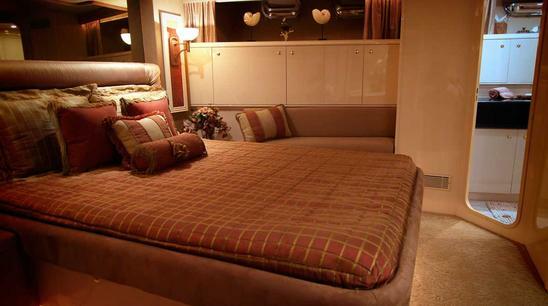 There is also a day head off the salon for guest convenience.